"avoid at all costs for long haul"
✅ Trip Verified | Seoul to Heathrow via Warsaw with LOT Polish Airlines. Most awful experience! Flight was cancelled 5 minutes before boarding. The staff were then rude and extremely impolite. Took them ages to help each person, with a lot of people missing out on leaving flights. The guy who dealt with me, did not even apologise or speak. Instead typed away at his computer huffing away. Not only that the airline itself is very basic with the worst entertainment and food value. Great for a cheap quick flight as it’s very affordable, just avoid at all costs for long haul. ✅ Trip Verified | Poznan to Oslo via Warsaw. An absolute garbage airline who are late or cancelled for unknown reasons as staff are not professional enough to provide information to the passengers. If you have a connecting flight and you depend on an airline to be on time, do not use LOT. Not Verified | Very disappointed by unprofessional and rude attitude of certain personal from LOT flight attendant and staff at the airport. Flight was from LA to Vienna, transfer in Warsaw. Flight from Lax delayed almost 2h which result in missing connection to Vienna so I was forced to stay one night in Warsaw. I asked a multiple times is there a possibility to catch the flight but they said they didnt know, because they are not sure when we will land ( at that point we were almost 7h in the air!) So, when we finally landed people at the airport were so “power driving” - no, with that passport you need to go to that window, etc. I told that woman very nicely a multiple times that I am trying to catch the flight, but nothing helped, she even didn't want to listen to me. Anyway, I have a better luck on the next window and guy even assured me that airplane is still at the airport and that I will make it. So, I passed the transfer and I didnt have an idea where to go ( very poor organization). In my opinion the worst airport which I ever been, and I am frequent Europe traveler. In the end, very rude woman (she even came very near to my face) from LOT front desk just gave me in advance prepared ticket for the next morning, and hotel voucher. 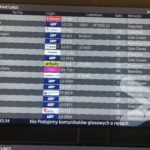 So, I naturally at that point I was very upset and I requested whatever transfer from Warsaw to whatever city in central/east europe so I can catch some connection to Vienna- answer was - we dont have any connections to anywhere after 7.50pm. So, if you dont have time constrains and if you have a strong nerves for rudeness then choose LOT. Otherwise, stick with Lufthansa, Austrian, air France and Turkish airline. Unfortunately, I was forced to choose LOT this time, but there will not be a second time. ✅ Trip Verified | Warsaw to Krakow. We booked a round trip flight with a rebooking (with a fee) option for a flight on the next day. 30 minutes later, we got a call about our another connecting flight, and so had to change the just booked tickets. We tried to call the call center, but they didn't answer the calls for almost 3 hours in total. Since the flight was on the next day I tried to reach them via Facebook as well, but they refused to help me and asked to keep calling the calling the call center. The entire call costed me over 30 AUD. In the end I managed to get connected and was quoted an extremely high price for changing one way hours by a few, which was 64% of the original ticket price. The new flight time we requested was originally cheaper than our booked one, but during the 3 hours waiting time on the call the price doubled. Extremely disappointing customer service. Wasted half a day on trying to reach their customer service, and wasted a lot of money. Also, a lot of stress for me and my partner. ✅ Trip Verified | Amsterdam to Singapore via Warsaw. I am deeply disappointed that a full fare airline like LOT does not compensate passengers after a daylong delay, hiding behind all kinds of excuses. No compensation, no booking onto partner airlines, no issue of vouchers/hotel booking, just ‘flight is canceled, the next one is available in four days'. Even flying Business Class with LOT does not make a difference. Apparently they don’t care enough about maintaining that passenger demographic. Shame. Once but never again! "cancelled my flight with no reason"
✅ Trip Verified | Moscow to Toronto via Warsaw. Very bad airline, my first time and last time with this airline, it cancelled my flight with no reason. ✅ Trip Verified | Krakow to Moscow via Warsaw. I was pleased by the efficiency, aircraft cleanliness and the for-purchase food which was reasonably tasty and not exorbitant. Legroom for a 6-footer was fine. For economy class, it was all good. ✅ Trip Verified | Warsaw to Geneva. 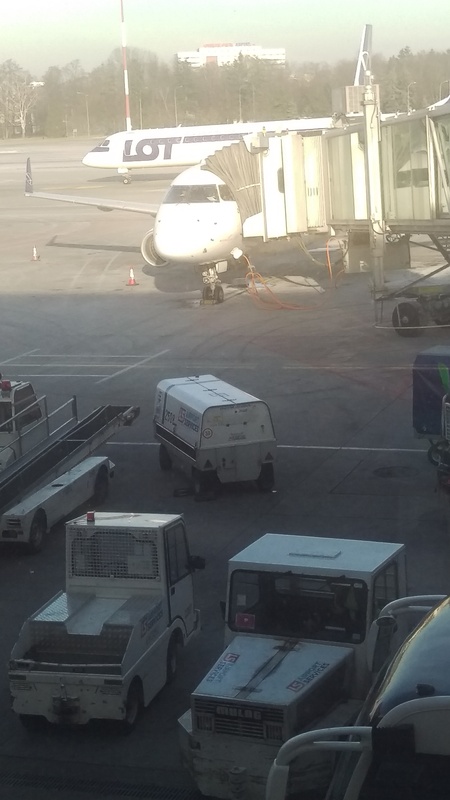 LOT Polish Airlines is by far one of the least practical airlines from the European mid tier of commercial, national airlines. What is annoying is their bizarre policies which they supposedly think are ok but which annoy frequent travellers who experienced standard, typical service on other airlines (I am LH Gold status holder). 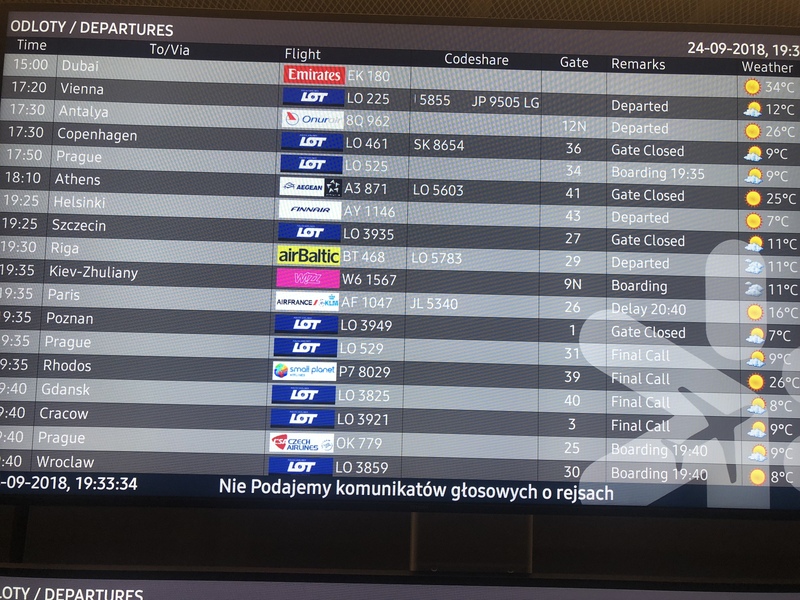 My favorite two examples are: - times of boarding, in case of the delay, at their airport in Warsaw are always adjusted 5 min at the time. So you never know if you still have 15 min time to seat at the lounge or you need to go to the gate. Instead you appear at the gate and the time is postponed every 5 minutes. Sometimes 2 times, sometimes 5-6 times. Very annoying. - seat selection, especially in the emergency row. One of the gold status members is free seat selection. So I select an emergency seat for more leg room, at check in online I have to give my consent that I speak English, am able to open the door etc. When I then enter the plane, 70% of time I find out that row 12 was ultimately not an exit row (which is 14) and they never inform you that they changed the aircraft. Very annoying. The crew is not helpful at all, they just say they didn’t know. I am not sure who manages this company but they clearly do not fly very often. ✅ Trip Verified | Flew Edmonton to Warsaw return. Booked online at LOT Airlines. Premium Economy. 1) No mention whatsover of mixed cabin. Straight economy with Air Canada Edmonton to Toronto leg without being able to book seats online. Was seated in row 29. 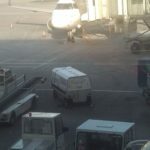 Same situation with Westjet on the return leg from Toronto to Edmonton. Unable to find any mention of fare classes on LOT's website. 2) Flight from Toronto to Edmonton was cancelled. LOT did not advise me of this cancellation and only after I contacted them did they fly me out the next day. No mention of compensation. Extra night hotel expense and missed day of work. I have never had these issues with any NA based airline and I fly a lot of miles. ✅ Trip Verified | Warsaw to Cracow. LOTs performance on domestic flights is alright, however, it could be better. The plane was OK, average leg space. Flight was on time. I have nothing to complain about, beside the food. A small chocolate bar is too little.